Including series six's punctuation this is the third finale from Steven Moffat, and strong patterns can be seen to emerge. Firstly, the showrunner revels in misdirection – setting up loyal, fan audiences to interpret details in a particular way, e.g. expecting that the Doctor will tell River his name as part of a Time Lord wedding ceremony, only to find we've been well and truly hoodwinked. Advance rumours and spoilers also indicated that the Daleks would turn up, and they do. Sort of. But rather than the ultimate evil (or even the ultimate wedding party gatecrasher), this Dalek is just a stepping stone to information about the Silence, again misdirecting audiences. Dorium Maldovar's involvement offers yet more sleight of hand; how on earth can a previously beheaded character return? Easily enough, of course, if it's accepted that talking heads can make for fun rather than dull TV. An undoubted master in misdirection, Moffat also delights in opposing audience expectations. Having set up crucial puzzles and questions he immediately undercuts them. Last year we were all wondering how the Doctor could escape from the perfect prison, only to find he'd managed it before the episode 13 title sequence rolled. This year, we're primed to expect mysteries over how the Doctor can avoid a fixed point in time... and what we get instead looks like the opposite; a tale in which that very fixed point has to be safely restored. Some fan knowledge is rewarded rather than opposed, though; it's hard not to view all the eyepatches as part of a Nicholas Courtney tribute, with one of Doctor Who's most infamous behind-the-scenes anecdotes finally getting in front of the camera. Such a feeling is reinforced by the Doctor's forlorn phone call to the Brig; even time travellers are sometimes too late. Moffat allows his fandom to shine through, creating a moment of media-pro fan fiction. This is a brand of fan fiction aimed at professionally commemorating the programme's long history, its own fixed points of reference, and its own markers of painful loss. In an episode where time is frozen, its real world passing is most certainly not forgotten. The ultimate enemy here isn't the Doctor's death, though, or even the Brigadier's heartbreaking absence; it's the end of storytelling itself. Cheating a fixed point means all of time happening at once, stuck in the same day and time, over and over. It's a world which sustains surreal special effects and wonderful juxtapositions, making for some eyecatching, unusual TV drama. But it's also a world in which no more stories can be lived out: cause and effect, sequences of events – what we usually call plots and narratives – no longer seem possible. In part, this is a story-arc finale threatening a finale to all storytelling. Only the Soothsayer can bring back the pleasures of a tale properly told. Fittingly enough, given that this is the culmination of an arc, The Wedding of River Song is fixated on acts of storytelling and stories. While the Doctor battles against history's cancellation, Steven Moffat plays games with the audience by exploiting our desire to find out all the answers: the Doctor begins to tell Emperor Winston Churchill his tale, while Dorium also promises an account of great import. These yarn-spinners, and their insistent delays and deferrals, deliberately tease the audience. And the false ending before River visits Amy does more of the same, playing a further game with our desire to find out what really happened. Despite its focus on acts of storytelling, I'd argue that The Wedding of River Song isn't really that interested in answers. It gives some, sure, but almost resentfully, and because it has to. The Teselecta's use is somewhat anticlimactic, if not eminently guessable as soon as it appears. It's not really the point – the point is how we get there, and what new questions can be posed, because as a showrunner Steven Moffat seems far more interested in the transformation of Doctor Who's possibilities. Series five's finale combined the Doctor's opponents in a monster mash; series six part one concluded by combining characters and races in the Doctor's army, and now six part two combines all of Earth's history. Or rather, Earth history largely as depicted in the Moffat era. It's Victory of the Daleks meets Cold Blood meets The Impossible Astronaut; a demented mash-up of episodes previously overseen by this production team, with just a (Dickensian) dash of the old regime. Each of Moffat's finales has sought to mix up and transform usual ways of thinking about Doctor Who – what if all the monsters decided to team up? What if the Doctor brought together a team of fighters? And this time, what if different episodes teamed up? Like a fan remixing Who, Moffat performs transformative work on the show, but by doing so, he transforms his own prior labours as showrunner. This is Doctor Who as a full-on game of self-referencing and self-sampling. 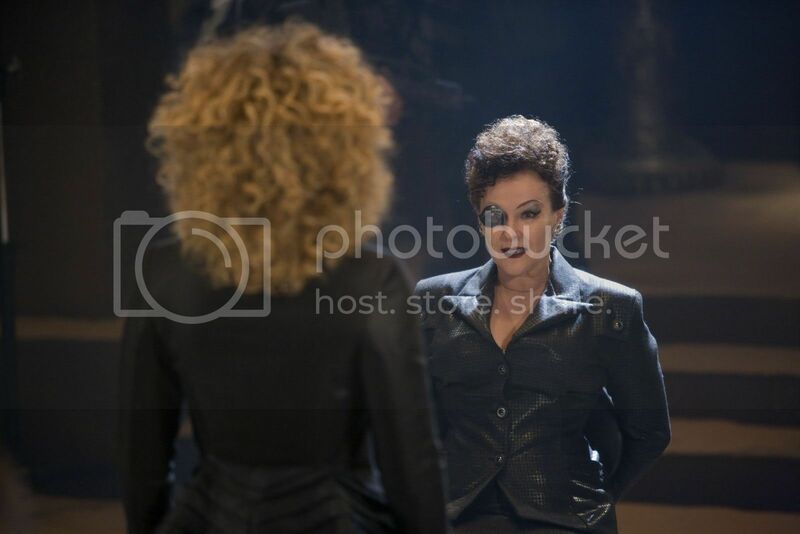 Truth be told, though, The Wedding of River Song is pretty useless as a whodunnit. It's really an anti-whodunnit, a skilled exercise in suspense when we know all along who dies and who the killer is. It's pure storytelling: constant interruptions and colourful incidents that happen to get in the way of an ending for 45 minutes or so. And as with The Big Bang and A Good Man Goes To War, this finale again offers a breakneck blend of misdirection, opposition, fan fiction, and transformation. To coin a playful acronym, these things are a finale's m.o.f.f.a.t. quotient. As a kindness, the use of two words has been minimised in what follows. I promise that there will be precious few mentions of 'timey' and 'wimey'. Because, of course, this episode covers richly Moffat-esque ground, as time paradoxes and wubbly foldings of the then and the now eventually create a dreadful dilemma for Rory Williams. However, writer Tom MacRae finds his own way to grasp the showrunner's favoured themes, and as a result this rendering of Amy Pond feels more emotionally real than perhaps ever before in her time on the show. Karen Gillan is a fine actress, but Amy-as-written has sometimes seemed like a collection of tics, betrayed by tendencies to go for the funny line or the plot arc rather than character consistency and depth psychology. As a result, it's not always been easy to relate to Amy as if she's a flesh-and-blood, real person (notwithstanding the fact that she hasn't always been a flesh-and-blood, real person in series six). Poor Amelia spent her childhood waiting for the Doctor, challenging everybody around her and holding on to the reality of her raggedy man, but we've rarely seen the psychological results of that struggle in the show. Not really. But, oh, The Girl Who Waited makes good on the promise of Moffat's set-up for Amy Pond. 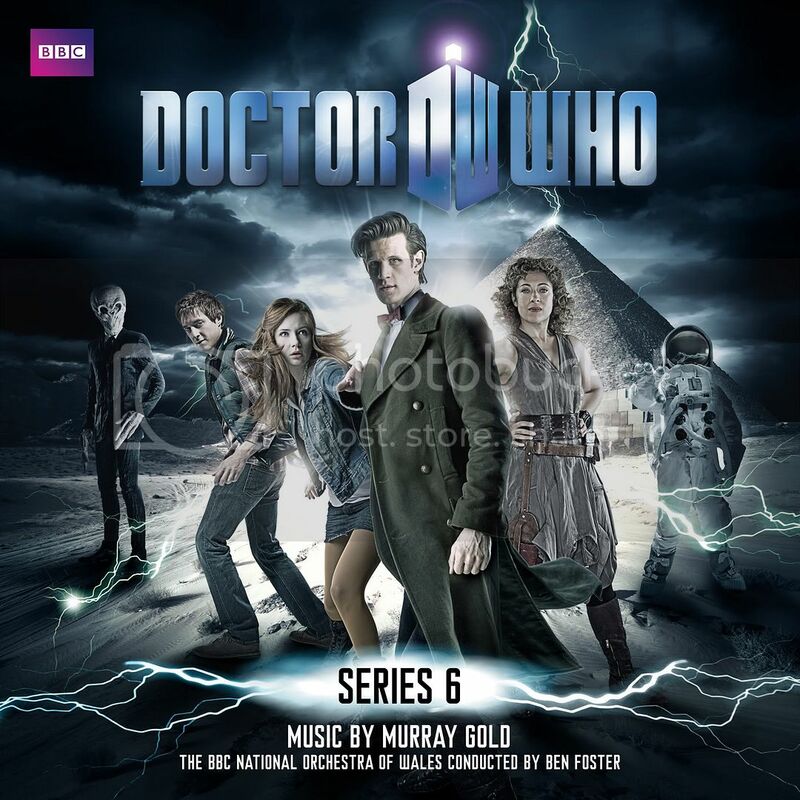 This time we finally get a sense of how waiting for the Doctor might corrode a person's spirit, with Older Amy having become embittered, hard and unfeeling, donning an emotional carapace as well as a cobbled-together, protective costume. MacRae doesn't pull any punches, and his script is all the more intense and dramatically satisfying as a result, whether it's Future Amy confessing her hatred for the Doctor, seeming not to care if Rory gets himself killed, or mocking the Time Lord's voice of God. Ostensibly a Doctor-lite episode thanks to virulent Chen7, MacRae gets around this in a series of ways. 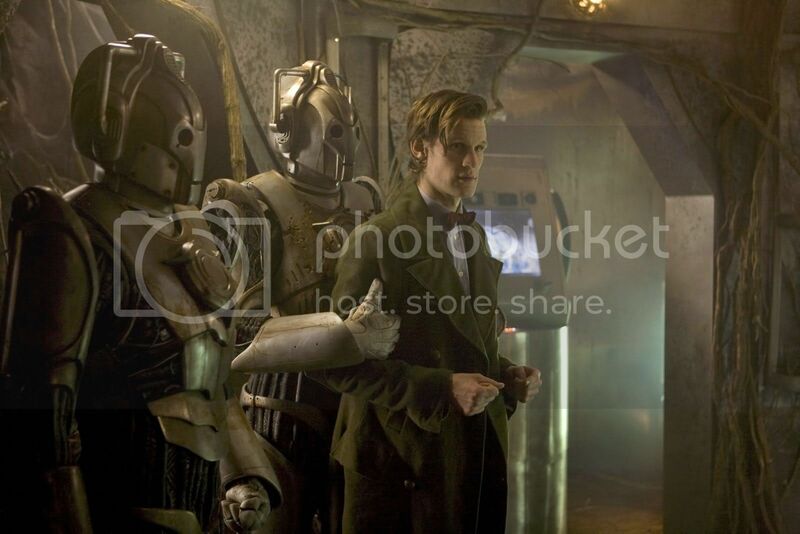 Not just via Rory-cam, but also by transforming Future Amy into a version of the Doctor  she's not quite emotionally wired up, she's in possession of her own lashed-up sonic screwdriver, and she's well up to speed on her environment, having cleverly figured out ways of fooling the Handbots. But Rory is also forced to become Doctor-ish: You're turning me into you, he realises too late as the Doctor compels him to choose between his wives. Narrative actions we'd expect the Doctor to perform are thus neatly handed over, in differing ways, to Old Amy and Rory  the Companions Who Can. This episode is also notably guest-star-lite, which presumably pleased those in charge of the show's purse strings. Amy-heavy instead, it gives Gillan a chance to explore her character's darker side, as well as further fleshing out Amy and Rory's love. There's more 'emotional realism' on show here than has been evident for quite some time in the worlds of Doctor Who; compare this episode's character psychology to River Song's in Let's Kill Hitler, for example. Where River's change of heart  from psychopathic assassin to repentant love in 32 or so minutes  never quite felt convincing, this story rarely puts a foot (or a hand) wrong in its explorations of self-sacrifice, love and hate. Plot mechanics have sometimes all-too-visibly driven character emotions elsewhere, but here characters' feelings are seamlessly integrated into events. Good work, Tom MacRae. Despite promoting a piece of Moffat's previous dialogue into the episode title, this has the feeling of a script that Russell T. Davies would have been more than happy commissioning. It even has monsters with a catchphrase, hooray! But if MacRae plays a blinder, then so too do the likes of Michael Pickwoad and Nick Hurran, handily reunited as a designer-director pairing after their work on the AMC/ITV remake of The Prisoner. Pickwoad transforms what could have been prosaic sci-fi  all labels and buttons for 'Arrivals' or 'Departures'  into a stark, blank minimalism intensifying the horror of Amy's life spent among such nothingness. (Again, this probably pleased those in charge of budgeting). It's a pity, however, that tension between production design and story logic makes Amy seem rather daft in the pre-credits sequence. From a design point of view, Green Anchor and Red Waterfall needed to be clearly distinct so that the audience would quickly pick up what's going on. But from a story perspective, for Amy to pick one of the two buttons haphazardly really calls for them to be fairly indistinguishable so as to sell this moment, and her mistake. Design triumphs over plot, however, making Amy's choice to press red to get into a room  without so much as querying which of the buttons she ought to select  look more than a touch implausible. This is a rare mishandling, though, as Hurran otherwise makes a series of great choices. Old Amy's final attack on the Handbots, all sparking slo-mo, is itself pretty stunning, but even that's immediately topped by the directorial and editing decision to mix together shots of Future Amy (far left of frame) and Rory (far right). In an episode where two timestreams interact, and where two Amys have been paradoxically brought together, this climactic sequence almost heartbreakingly brings together two different spaces on-screen. Inside and outside the TARDIS are almost made to touch; two impossible spaces folded together at the end of a tale of two temporalities. 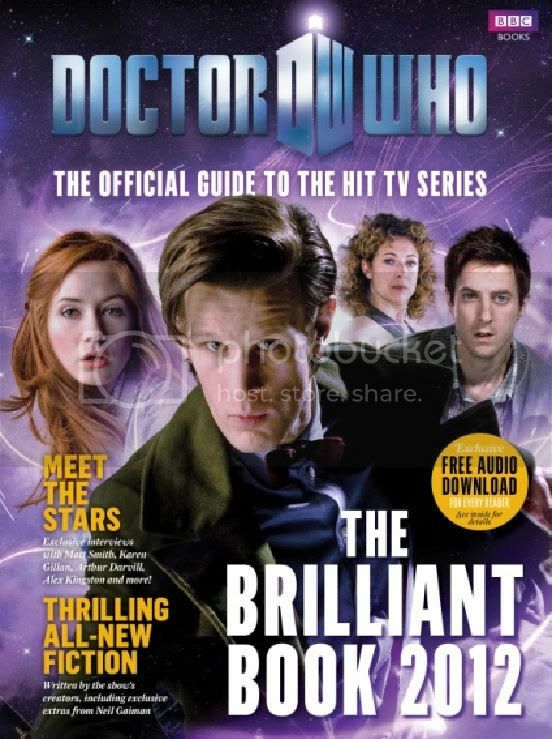 It's a thematically spot-on choice, and it allows both Gillan and Darvill to shine. Hurrah for Hurran; bring him back soon, please. Oh, right, he's directing next week's ep. I'm strongly tempted to view this as a budget-saver episode, promoted from over-commission on grounds of fiscal prudence. But whether or not it's Discount Who, it is nonetheless a TV drama treat, as affecting as it is well-designed, sensitively directed, and sharply acted. Beyond 'timey' and 'wimey' gimmicks, hand-on-heart, this is totally and wonderfully Doctor Who. In an era of the show when so much leaks out ahead of broadcast, whether in spoiler tags or the Radio Times, it’s genuinely rare for a major, series-changing event to wallop you between the eyes. But that’s what The God Complex achieves, craftily tucked away in the episode eleven slot. Good old number eleven, it had to be this Doctor’s Room of Fear, of course. But for the eleventh episode in a run of thirteen to write out two lead characters? Own up, who saw that one coming? And in a story written by Toby Whithouse too, rather than one of the showrunner's episodes where you might expect such momentous events to fall. Steven Moffat, you sly devil. As for those final few minutes, well, the moment has been prepared for. Both last week, with the Doctor’s final regretful glance – filled with remorse at what he’d put Amy through – and this week where it’s Amy’s faith in him which generates life-threatening events. “You’re fired”, the Doctor jokes to Pond upon meeting Rita (it’s a big day for fans of The Apprentice). But this is what he eventually does – Amy gets her marching orders, albeit for her own good. “He’s saving us”, she informs Rory. You wouldn’t think being presented with a house and a car could seem so bittersweet; in almost any other show they’d be the trappings of success, the big prize, the markers you’ve made it. Not here. Here they’re the melancholic second choice, the non-Doctor-ish ordinariness that even Rory’s dream car glee and clutched bottle of champagne can’t quite make good on. But it’s cleverclogs Rita who says the most important thing in the whole story. It’s she who observes of the Doctor: “that’s quite a god complex you have”. Because the eleventh Doctor doesn’t seem to credit Amy with any agency at all – as far as he’s concerned, she never really had a choice to join him on his travels. And likewise she doesn’t get to decide when she leaves – both events are arranged by the Doctor, busy playing God. If her faith in him is reduced, or weakened for a moment, even that’s his doing too. Amy's choice? She seemingly doesn't have one. It’s all about the Doctor-God. After this it’s difficult to see him welcoming another full-time companion aboard the TARDIS in a hurry, although given his alleged middle name Amy and Rory may be back before too long. Perhaps the Moffat masterplan has been partly inspired by Time-Flight and Arc of Infinity (not a sentence I thought I'd be writing this morning). The meat-and-potatoes of this story are again well handled by director Nick Hurran: the hotel complex is textbook creepy, and near-subliminal images of “Praise him”, whether presented in clean typeface or ransom-note print, boost what is already a highly kinetic piece of direction. Making the story's spooky catchphrase televisual in this way is an unusual approach, especially when it flickers on-screen immediately prior to the title sequence. It's a little ostentatious, but in a story as surreal as this, it fits right in. The Minotaur creature is also effectively realised on the whole. Despite the episode name-checking a certain Nimon, David Walliams refrains from doing a Soldeed, instead turning in an almost restrained performance as Gibbis even if Joe the gambler compensates by dialling his menacing mania up to eleven. And on the subject of hotel/prison complex victims, Royston Luke Gold looks uncannily like producer Marcus Wilson. Hopefully no members of the production team were made to confront their greatest fears during the making of this episode. Whithouse’s script is neatly structured, with its fear-to-faith switcheroo subverting that telefantasy staple where a monster feeds on fear and can be defeated by faith. This time, faith is part of the problem rather than the solution. But religion isn't simply the enemy; The God Complex thoughtfully distinguishes itself by offering up a resourceful, engaging Muslim character in the shape of Rita, briefly acknowledging and challenging prejudice via her line “don't be frightened”. And although Rory's lack of religion and superstition mean that he's repeatedly shown the exit, Whithouse adroitly avoids preaching 'secularism-good, religion-bad' by indicating that the “prison in space” has itself been built by an advanced, secular society. What the Doctor's up against isn't just a God Complex; there's also a Glitch Agenda. Technology's gone wrong again, leaving different fears and phobias in situ. This is an overly familiar trope, and if the devil's in the detail then greater variety in story details sometimes wouldn't hurt. Certain other elements of The God Complex are also excessively familiar. For example, Howie the conspiracy theory blogger-nerd comes across as a lazy, retrograde stereotype that no amount of stylish retrograde zooms can quite make up for. “What’s loser in k-k-k-Klingon?”, one of the girls in Howie’s room taunts him, and you can’t help but feel that it’s a misjudged moment. Even though we're meant to be seeing Howie's fears, the fact that Rory sarcastically dismisses his theories (and that they're written so as to sound loopy) suggests the character should be viewed as a 'sad' fan-blogger-conspiracy nut. After challenging anti-Muslim feeling, it's a pity that prejudice against sections of fandom/Internet culture seems rather unreconstructed. Why not go the whole hog and just provoke your own online fan audience: “what’s loser in m-m-m-ming mong?” (The answer’s ming mong, obviously). But it’s the ending that’s really provocative – rarely has the Doctor's god complex been so thoroughly exposed. This isn’t one-off Waters of Mars-style hubris; this is saying that all of Amy’s time with the Doctor – from being offered time and space to being offered a terraced house – was decided by him, and controlled by him every step of the way. “I’m not a hero”, he gently tells her while seeking to undermine her faith, but as the TARDIS interior fades to desolate darkness and ‘NEXT TIME’ slams in, you can’t help but wonder. Perhaps he was right. Is he straightforwardly saving Amy, or has she always been an object of His will? Because the more you ponder some of this episode's implications, the more it begins to test your faith in the Doctor himself. In short, The God Complex is satisfyingly complex storytelling. 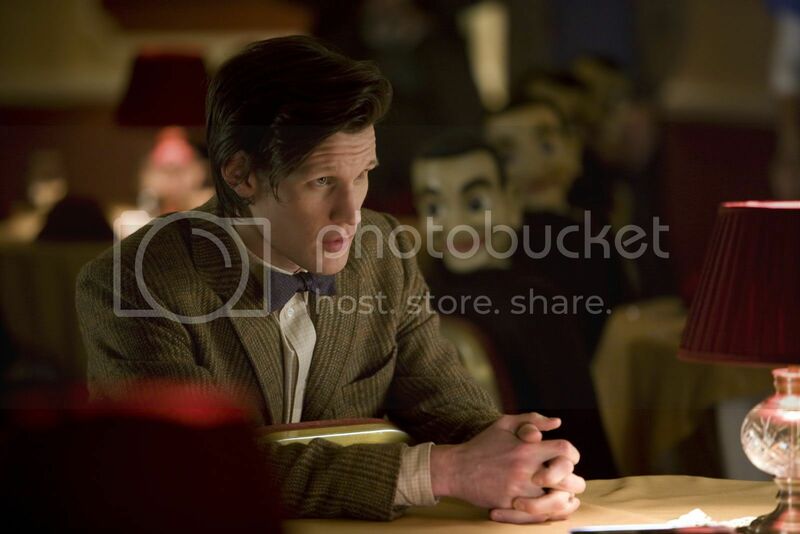 What did you think of The God Complex? Now you can rate the episode here.